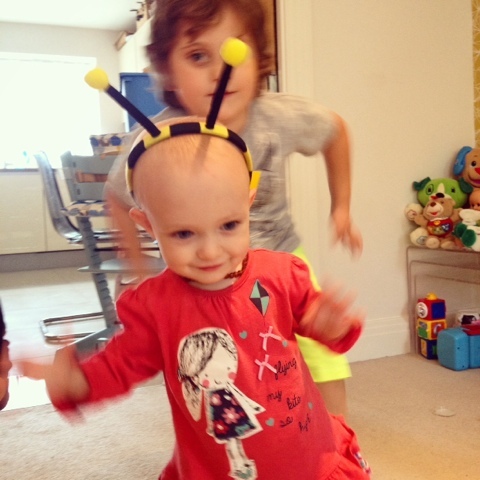 Some Maya the Bee Antennae arrived in the post earlier to wear for National Honey Bee Day which is tomorrow (16th August). Zoey absolutely loves them and was hilarious, proudly wearing them and refusing to take them off as she and her brothers had a dance party in the lounge with Dance Star Mickey. I think they are definitely ready for bopping away at LolliBop tomorrow.